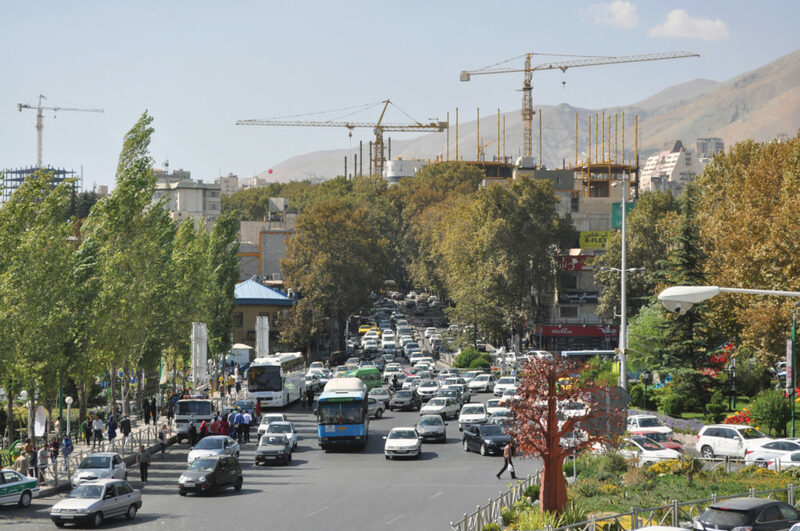 As Tehran grows, mobility demand steadily increases: a change in travel modes can be a great opportunity. A few cities in the world represent better than Tehran the ambitions of an entire country. As Iran opens up to become more permeable to international exchange, Tehran gets ready to become one of the major capitals in its region. New airport terminals, rail infrastructure, iconic landmarks and other developments are being planned or are under construction at an unprecedented scale and speed, rapidly changing the city form and dynamics. While the above might seem to be already in vigor for years, Iran is also opening up for new standards in planning approach that the country had not seen in the past decades. 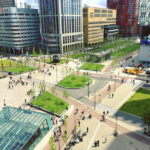 As a result of this rapid evolution, mobility demand is steadily increasing, and traffic issues, in turn, are becoming more and more problematic, threatening the very ambitions that drive this progress. Amidst this, Systematica was called and appointed on a number of projects in the recent years ranging from the Pardis Golestan Tejarat tallest tower-to-be in Tehran, to smaller but equally complex projects such as Ava Centre Shopping Mall to the largest Mall-to-be located in the fast-growing District 22, west of Tehran: Iran Mall. Iran Mall is the most challenging project by far, with more than one million square meters (including parking floors) with one of the largest shopping destinations in the region, a convention centre, a luxury hotel, sport and leisure facilities, as well as a high-rise office tower located at the development’s western end. More than 20,000 employees are forecast, with more than 185,000 visitors per day. Said figures require substantial investment in transport infrastructure to connect the nearly 17,000 parking places to the external network. In addition, intelligent traffic management solutions are devised in order to ensure traffic flow distribution on more than 15 under and above ground parking floors and reduce external effects during peak hours. Complex traffic modelling of internal and external vehicle movements validated the proper functioning of parking access and circulation and allowed to quantify the need for technological investments in parking access and control systems. The mobility plan is completed through a set of improvements to alternative collective transport solutions to face principally the movements of employees. Two transportation hubs are proposed inside the project precinct, in order to provide a reliable transport alternative for employees. The location of the hubs takes into account employees’ distribution and walking distances to their destination, while the hubs are dimensioned to ensure a commuting time of less than 20 minutes to the closest metro station, Iran Khodro, located 3km southward. The mobility plan includes precise indications regarding all types of transport, ranging from taxi ranks, GT bus stations, public transport stations, drop off/ pick up and valet system and other system components. Iran Mall is certainly emblematic for Tehran’s aspirations in terms of its planning and design standards and rigorous approach. This project might represent a baby-step in a tedious quest for improving planning and design principles, however it is also an audacious leap toward a new approach in the planning approach that has been missing for some time.